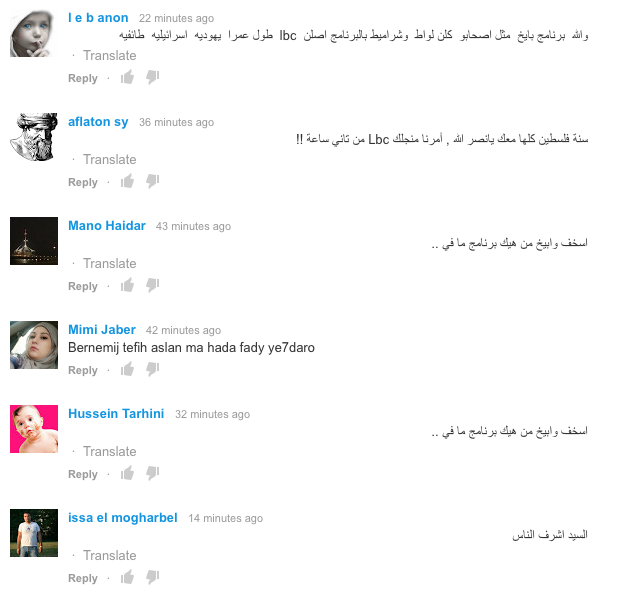 Leave it to the Lebanese to spoof controversial ad campaigns. Soon after Benetton’s “unhate” campaign basically went viral, online pictures of rival politicians making out surfaced on line and have been already shared a gazillion times on Facebook. The “United Colors of Benetton” logo has been changed to “United Colors of Lebanon” to show that Benetton has nothing to do with these. I’m pretty sure Benetton wouldn’t dare to do anything of the sort with Lebanese politicians. Can you imagine the black shirts that would pop up around Achrafieh because, you know, Benetton is Italian and Italians somehow have roots in Achrafieh. But no matter, the fact that I think ads like this are pointless aside (check my opinion here), I really hope we get to a day where rival politicians can actually find themselves in a room without wanting to kill each other. 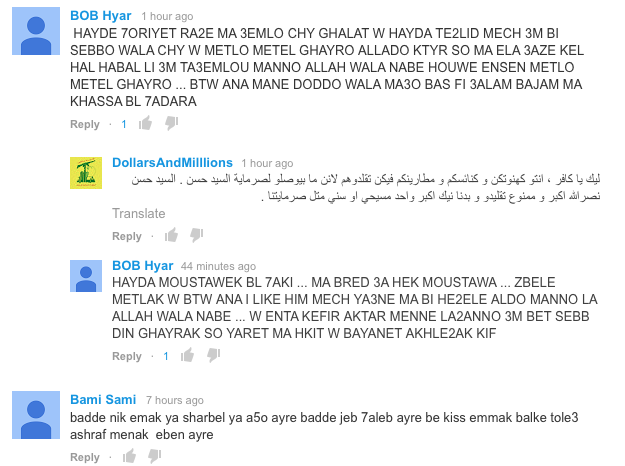 I’ve only been back to Lebanon about a week and the drama with the country’s religious diversity is back. This time, however, it has taken the form of a flip-flop. 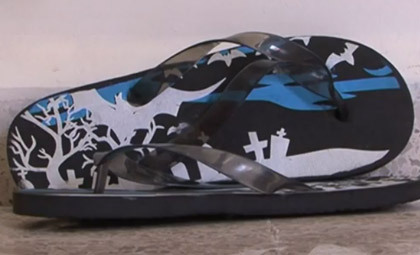 This flip-flop in question had not one, not two, but even more than three Crosses on it. The attention to the issue was first brought by LFTV, the internet television of the Lebanese Forces, and soon enough the people of the concerned areas got the store selling these shoes, managed by Ali Fakih, to close. I wouldn’t be writing this post if it hadn’t been for this article by Now Lebanon, brought to my attention via a retweet by someone who thought the reaction of the Christians was ridiculous. 1) Why was the store, managed by Mr. Fakih, selling such flip flops in the first place? Has it become fashionable to sell shoes where you step on a religious symbol all the time? 2) How is the Christian reaction to this in any way ridiculous? Did they vandalize the place? No. Did they beat the hell out of the manager? No. What did they do? They protested and got the shop to close. When will the shop re-open again? Monday. 3) It is sad, sometimes, that people who feel the need to talk about anything have a widespread platform like Now Lebanon to talk about it. How is it, miss Nassar, that forcing the man to close shop for a few days insulting? I’m not the most religious of people but I don’t want to see people stepping on Crosses as they walk. In my humble opinion, Mr. Fakih not caring enough to go through the merchandise that he sells is insulting. I’m pretty sure that if his store had received shipments of the same flip-flops, except with the Crescent on them, he wouldn’t have sold them. 4) To suggest that the same reaction wouldn’t have taken place against a Christian man is a deeply disturbing – and sectarian – idea on Now Lebanon’s part. Saying that the whole protest was fueled by people who only protested because the man selling the flip-flops is a Shiite Muslim is not only unfounded, but it’s also entirely in the realms of speculation. In fact, there’s little to back that point up. People, when offended, will act out – regardless of who’s offending them. 5) The article also suggests that us Lebanese have nothing to do but take offense to clothing items. I wonder, when did a clothing item make headline news? Not recently, right? Well, this is the first time that I hear of something “fashionable” cause up a stir. And if you think about it, it’s not really a huge stir. Christians of the area are now standing in front of the store, chanting. 6) Before Now Lebanon, in the form of Angie Nassar, apologize from Ali Fakih for this “sick charade,” how about they look at this “idiotic spectacle” from the perspective of someone who doesn’t want to write just for the sake of writing something controversial and actually notice that the response of the Christians of the area has been nothing short of civilized. They’re not “akin to dictators gunning down innocent men, women and children.” How this comparison was even conceived, I have no idea. Every group in the world is allowed to express themselves when they feel offended and threatened. The fact that one of Lebanon’s major religious groups was offended by a clothing item and did something non-violent about it does not warrant people to call said people ridiculous, to write articles saying that closing down the man’s store for a few days is an insult and to ask for an apology from a tasteless individual who, probably, knew exactly what he was selling. I wonder, however, and I do not mean to come off as sectarian, if anyone remembers the clashes that took place when LBC’s Charbel Khalil had someone impersonate Hassan Nasrallah on his show Basmet Watan. Shiites from Dahye swept into Beirut’s Christian areas and caused a riot. Is Hassan Nasrallah more important than the symbol that represents Christians? Was he even offended on LBC show? Nope. What was the cause of the riot? LBC isn’t allowed to portray someone of Nasrallah’s grandeur like that. Do you also remember when some Danish newspaper published pictures of the prophet Mohammad and the Tabaris 802 Building in Achrafieh, home of the Danish Embassy, was vandalized? How are those pictures any different from having a Cross on the bottom of a shoe? If anything, I find the Cross even more offensive. Are people unreasonable when they ask for their symbols and convictions to be respected? Is it discriminatory if someone stands up for their rights? And in this case, I’m pretty sure willful ignorance does not apply – it would have applied had they known and decided not to do something about it, making it another example of Christians resigning to the status quo of the country. And what better way to end this than with the same way Now Lebanon’s original article did: pro tip, fools: taking offense isn’t always a choice. Also, stop being so clueless. It’s offensive to your readers. A little confession miss Nassar, this event barely registered on my relevance radar – until I read your article. Good job. Hassan Nasrallah came on TV a few days ago and, as usual, he started preaching (or the more accurate Lebanese term: ynazzer). During this much “awaited” sermon, he naturally commented on the Bahraini revolution, wondering whether the Bahraini events not getting enough attention is related to the protesters being Shiites. He also said Hezbollah would help the protesters. As a result to that, Bahrain saw it fit to suspend its flights to Lebanon and ask its people to leave the country and refrain from visiting, citing potential threats to their safety. Now I wonder, does the Bahraini government really think we care about where tourists are coming from? Does it really think we – even Hezbollah – have checkpoints to check foreign passports and then, if those passports are Bahraini, abduct them? Does it even make sense for Hezbollah to do anything to harm the Shiite-majority community? Sure, Nasrallah is a hypocrite. In his speech, he spoke about the importance of the revolutions going on everywhere… except Syria, simply because a revolution in Syria doesn’t work to his advantage. And yes, he is a man of big words and little action. But for the Kingdom of Bahrain to have the reaction it had to a few words he spoke about the events in their country is blowing things way out of proportions. If anything, the Lebanese government should warn and ask us to refrain from visiting a troubled country like Bahrain, not the other way around. 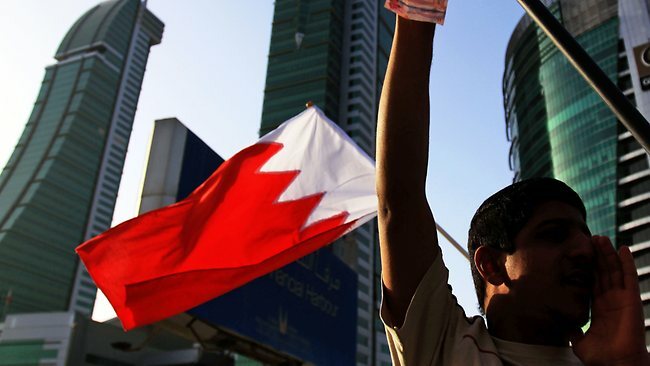 Dear Bahrain, stop being such a drama queen… for your sake and ours. I was sort of surprised today to hear you defend the Egyptian revolution so adamantly. It is a revolution well deserved of all of our support, that’s for sure, but your fiery support was puzzling to me. You see, Mr. Nasrallah, I fail to understand why you feel that you need to have a speech in support of the Egyptian revolution in the first place, when it’s not the first revolution in the area. Didn’t Tunisia have its own revolution, which was actually successful, a few weeks ago? Second, I fail to understand why you need to include Israel as the center of your argument for the justification of an importance of a revolution. Shouldn’t the “poor and the free” be enough as cause? Shouldn’t the need for change be enough? I understand that it is not in Israel’s best interest for change to happen in Egypt. After all, the Egyptian status quo is fine with Israel. But I’m sure that’s not what the Egyptians cared about when they went down in their millions to the streets. Also Mr. Nasrallah, if you are so keen about defending the rights of the “poor and free”, how come you didn’t feel the need for a speech when “hundreds were being killed and thousands injured” during the Iranian protests in 2009? Weren’t those protesters also free and poor and wanting change? Or is it only relevant when it’s actually one that serves your best interests? Dear Mr. Nasrallah, do not, if you may, lecture people about revolutions. You haven’t cared about our own need for change in Lebanon, obviously proclaimed by the majority of the people in 2005. On the contrary, you called for an anti-protest a few days earlier to thank those same people that were making us “poor” and suppressing our freedom. So for all matters and purposes, you are a hypocrit – just as many in your political side are – and I do not – nor should anyone – appreciate hypocrisy. After all, isn’t Israel hypocritical as well?